THE AFL has blocked transgender footballer Hannah Mouncey from entering this year's NAB AFL Women's Draft. A subcommittee was formed to rule on Mouncey's eligibility and its decision was based on analysis of transgender strength, stamina and physique, as well as the AFLW being in its infancy. AFL.com.au understands the subcommittee believed Mouncey would have had an unreasonable physical advantage over her opponents. The process included consultation with Mouncey, her management, the AFL Players' Association, the Australian Sports Commission and Pride in Sport. The AFL was also guided by the Victorian Equal Opportunity and Human Rights Commission’s guidelines 'Trans and gender diverse inclusion is sport – complying with the Equal Opportunity Act 2010'. A provisional decision was made and communicated to Mouncey and the AFLPA on Monday. Mouncey responded to that decision, but the five-person subcommittee determined her nomination would not be accepted on this occasion. The ruling relates solely to this week's NAB AFL Women's Draft and the next AFLW season, meaning Mouncey can nominate for future drafts and register in other competitions. "While I am extremely disappointed with the AFL’s decision regarding my participation in tomorrow's AFLW draft, I thank them for the genuine way in which they approached my situation," Mouncey said in a statement. "Despite not being able to take part in the draft, the AFL has given me the all clear to play for Ainslie next year in the AFL Canberra competition for which I am very grateful and look forward to doing in 2018, before hopefully being able to nominate for next year’s draft." 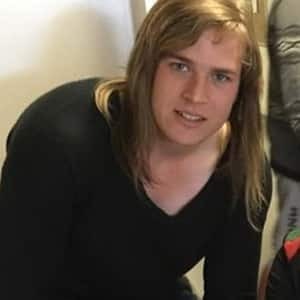 The AFL's general manager of inclusion and social policy, Tanya Hosch, who was on the subcommittee, said Mouncey's case would impact future AFLW transgender procedures. "Hannah's passion for football is undeniable, and I want to thank her and her team for their constructive participation in the decision-making process," Hosch said. "It was important to involve the right stakeholders to review all the information and data available. Every case will be decided on its own merits along with the individual circumstances of each future nominee. "We acknowledge Hannah's openness and co-operation. She has contributed to a process which will substantially inform the development of the AFL's transgender policy and procedure for future players at the elite level. "The AFL has made very strong commitments to equality and inclusion at all levels of the game. We recognise that participating in sport has physical, psychological and social benefits and we are committed to making Australian football on every level welcoming to all in our community." In the wake of the decision, the AFLPA urged the League for clarity around the entry of transgender players to the AFLW. "While Hannah was provided with the opportunity to discuss her application with the AFL, the AFLPA believes there should have been clear guidelines available for transgender players wishing to enter the AFLW draft this year," AFLPA general manager of player relations Brett Murphy said. "No athlete should face such confusion around their eligibility for an elite competition just days out from a draft." The subcommittee also included AFL commissioners Jason Ball, Gabrielle Trainor and Major General Simone Wilkie, and AFL general counsel and general manager game development Andrew Dillon. Mouncey, who stands 190cm and weighs 100kg, played eight matches and kicked 17 goals for Ainslie in the Canberra Women's League. AFLW clubs had shown interest in recruiting the former Australian men's handball representative. Good luck to all the girls who nominated for the AFLW draft tomorrow, especially my mates from Canberra. I can’t wait to see you all at the highest level and to play with and against you back in Canberra next year!